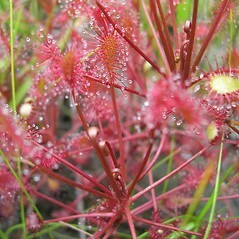 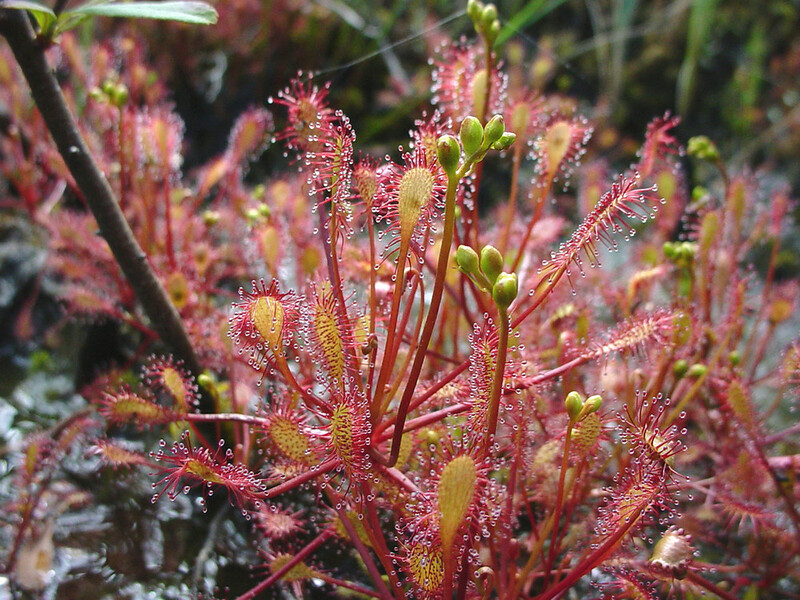 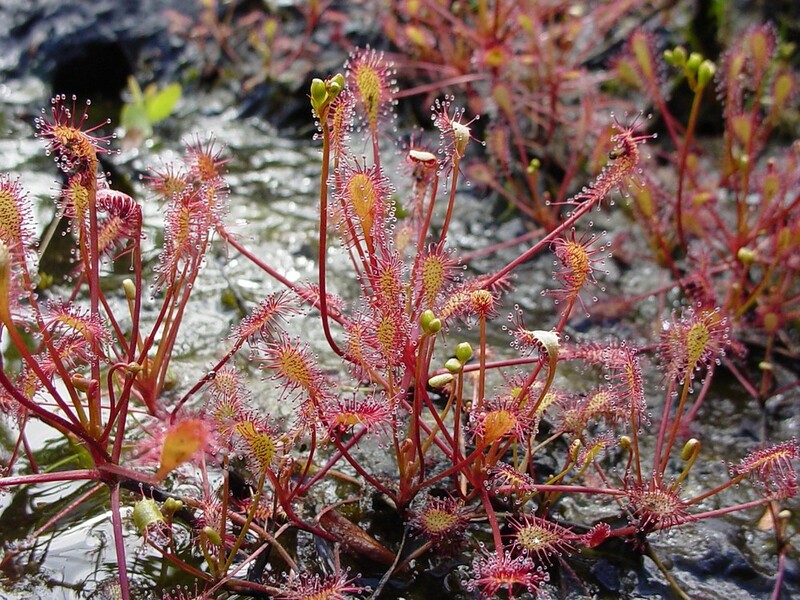 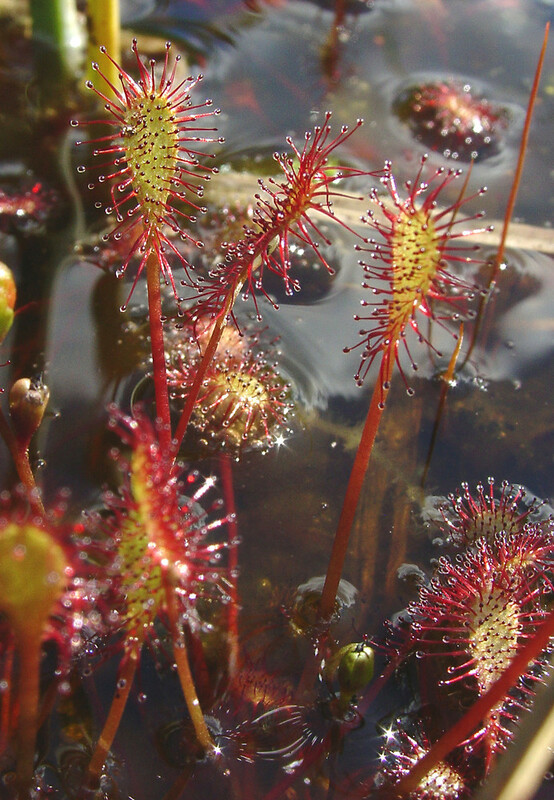 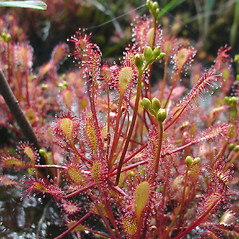 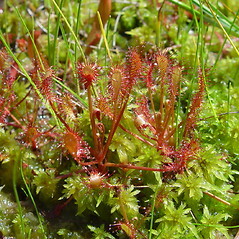 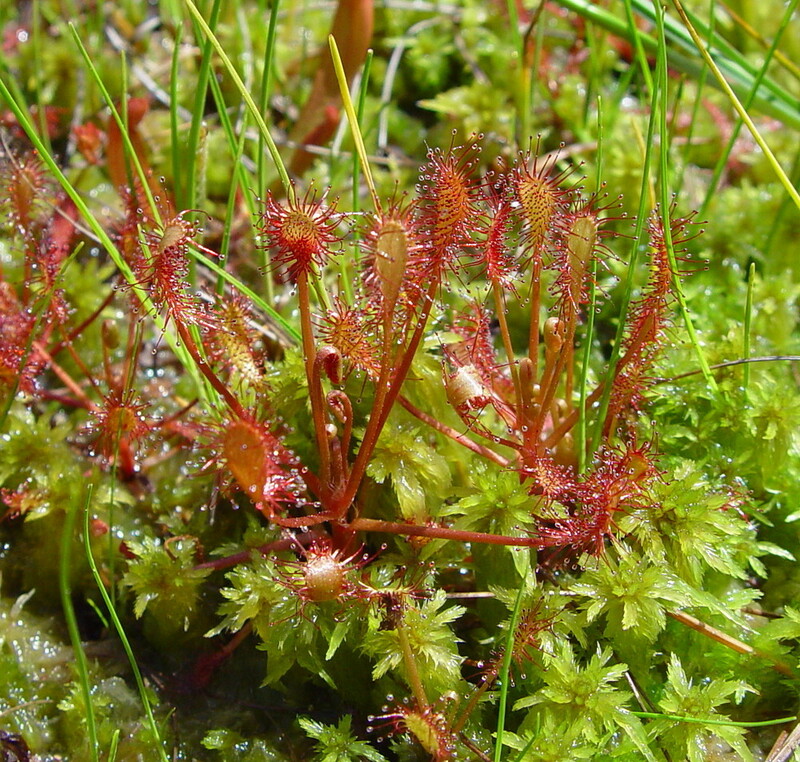 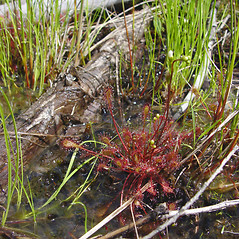 Sundews live in nutrient poor swamps and fens and are carnivorous. 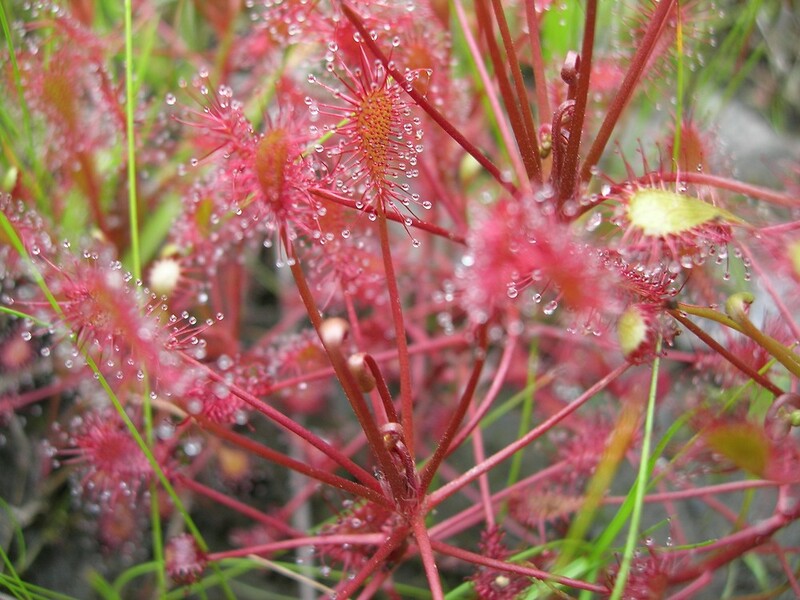 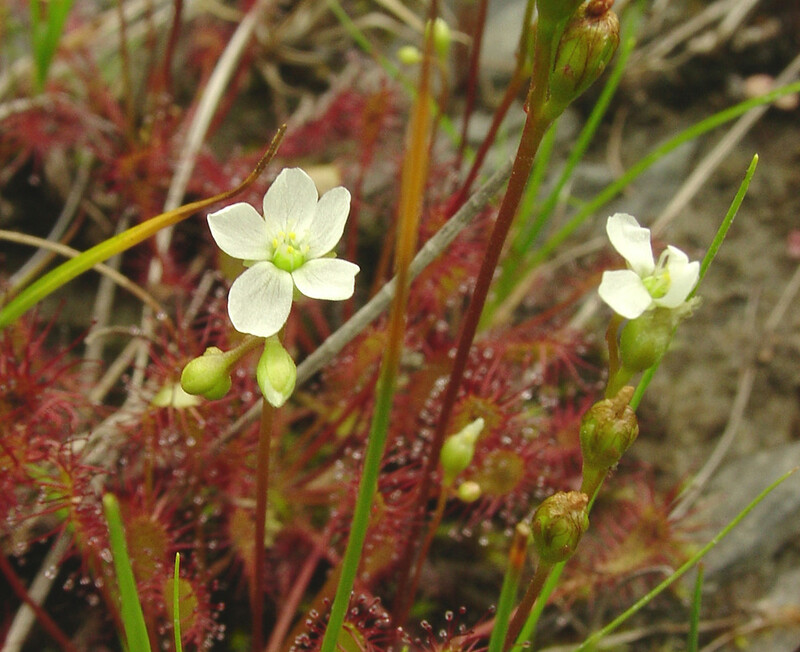 Research showed that spatulate-leaved sundews get about 50% of their nitrogen from insects they capture in the sticky hairs on their upper leaf surfaces. 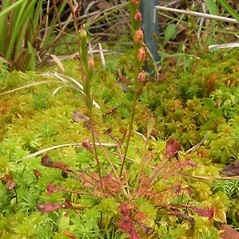 leaf blades as wide as or wider than long and petioles glandular-pubescent (vs. D. intermedia, with leaf blades obviously longer than wide and petioles without hairs). 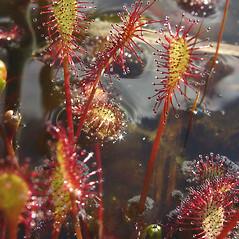 stipules connate to the petiole for most of their length, seeds black and striate-alveolate, and leaf blades mostly 15-35 mm long (vs. D. intermedia, with stipules distinct from the petiole for most of their length, seeds red-brown and papillose, and leaf blades mostly 8-20 mm long). 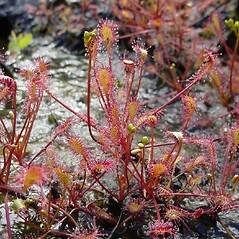 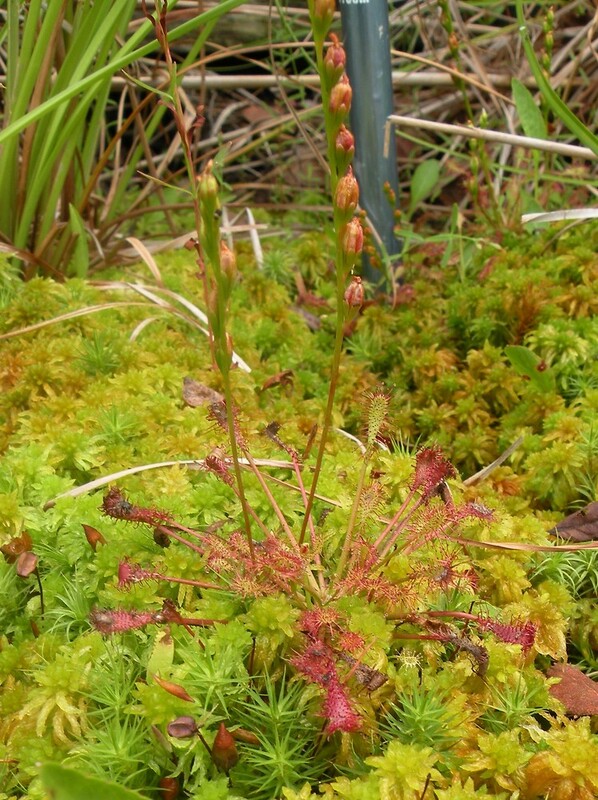 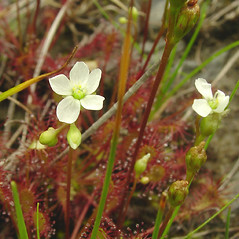 spatulate-leaved sundew. 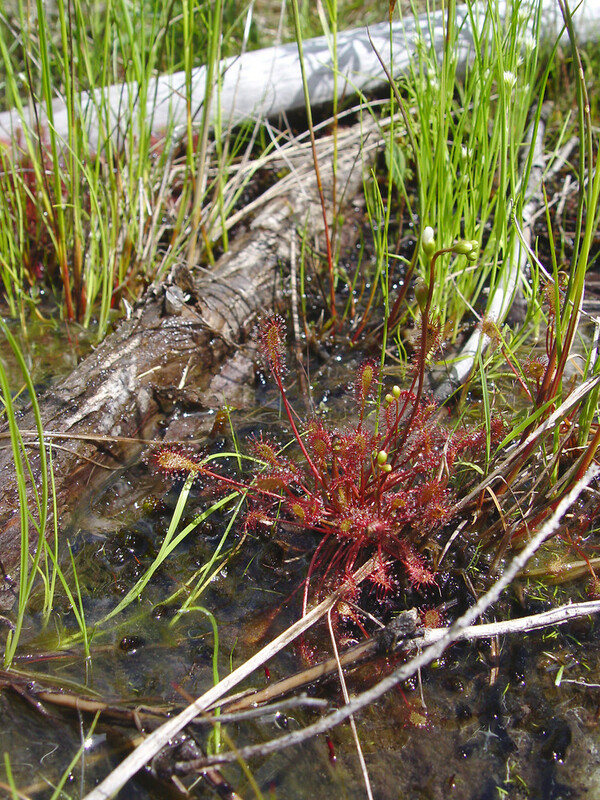 CT, MA, ME, NH, RI, VT. Bogs, fens, lake shores, river shore seeps.